I found an invoice for the last piano tuning dated Feb 2010. I rarely play the piano these days but I have to admit it was sounding badly out of tune lately. I had it tuned last week and had a play yesterday. The piano definitely sounds better but the person playing needs a lot of practice! I did enjoy it though playing the old pieces I learnt when I was in my teens. Some of the music is looking very tatty but still readable. It took me about half an hour to get the fingers going again (it also helped cutting my nails short!) and was soon transported back into the world of the great composers. I am now impatient to have the house to myself so I can keep practising. Not much chance of solitude today we are getting the kitchen floor redone. 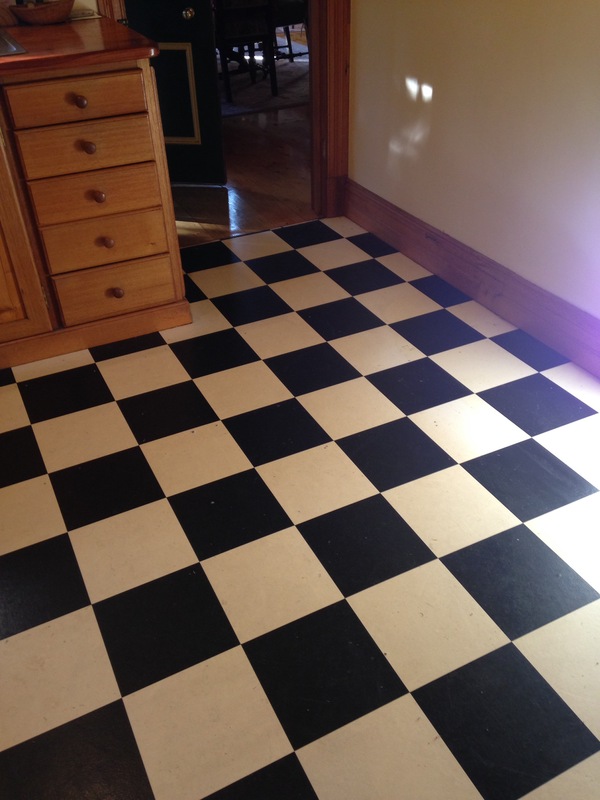 Same same but very different black and white tiles, bigger tiles and very black and white! 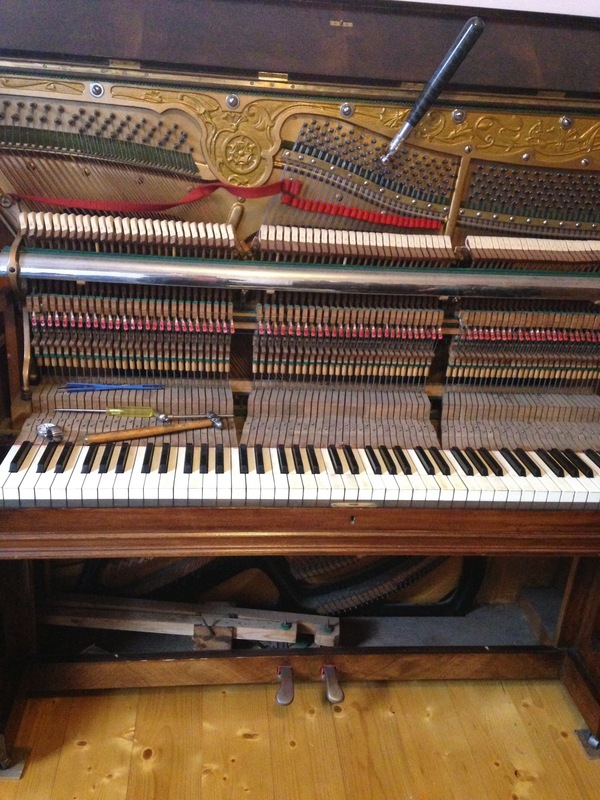 Photo shows the old vinyl sheeting and the piano in the process of being tuned. I don’t keep up with my practicing like I used to, but I still love to play!